After enjoying a fun day out at Universal Studios on Tuesday, it was back to the daily grind for Ashlee Simpson and fiancé Evan Ross come Wednesday. With a wedding to prepare for, the 29-year-old hit the gym in Los Angeles with a vengeance as she ensures she’s in tip-top shape for her big day. Despite being dressed in her gym clothes, the mom-of-one still managed to being her own uniquely cool sense of style to the ensemble with her accessories. 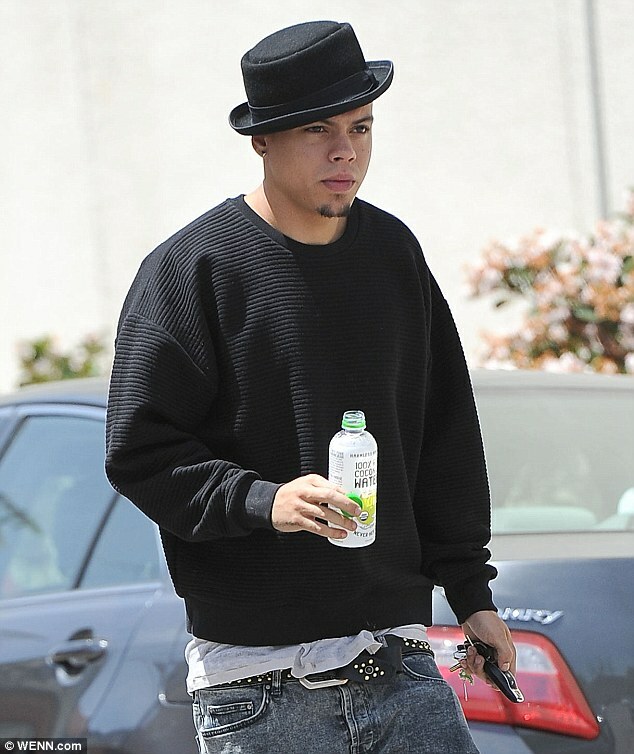 via Ashlee Simpson is picked up by fiancé Evan Ross after workout | Daily Mail Online. She shrugged on a black quilted leather jacket over her black tank top and matching three-quarter leggings, which she wore with Nike sneakers, while she carried her favourite Hermès handbag and donned a Generation Hustle cap emblazoned with the word ‘Hustle’ in huge white lettering. to be make-up-free, with her eyes were shielded behind large dark sunglasses. She also had a black sweater tied around her waist – not that she needed so many layers on the warm and sunny day. Ever the doting fiancé, Evan took the time to pick his betrothed up after her workout. to greet his soon-to-be wife. The in-demand actor, who has six new film projects for release between now and the end of next year – including roles in The Hunger Games: Mockingjay – Part 1 and 2 – was dressed in his usual grungy attire, while he was also a little overdressed for the weather. The 25-year-old opted for incredibly low-slung stone washed jeans, that were only barely being held up by his belt, his favourite well-worn black lace-up combat boots, a light grey T-shirt, black ribbed jumper and matching pork pie hat. After announcing their engagement on January 13, the couple celebrated their impending nuptials with a lavish party last month, surrounded by their nearest and dearest. While they are yet to confirm the wedding date, it will likely be quite the juggling act trying to find the perfect gap in Evan’s busy filming schedule. This entry was posted in Generation Hustle Life Style, Style. Bookmark the permalink.